Eric Rose has been missing for days after leaving his wife and daughter to try to find help and now Owyhee County Sheriffs are considering it a recovery operation. 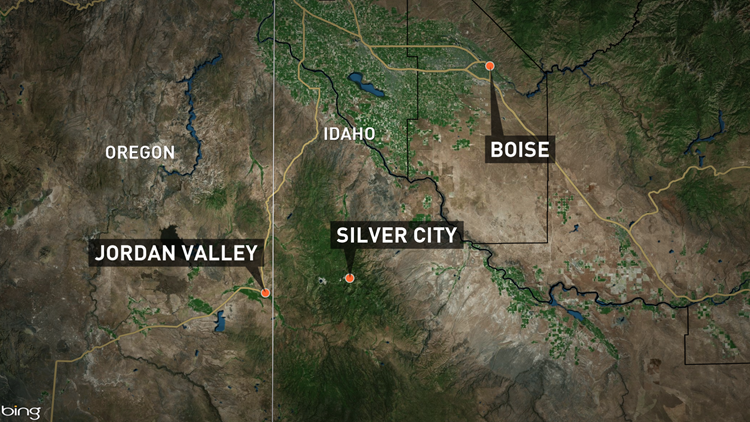 NAMPA, Idaho — Rescue crews suspended their search for a missing man in Owyhee County Tuesday night after his wife and young daughter were found stranded in the backcountry of southwestern Idaho over the weekend. Eric Rose, his wife Francesca Watson and their 10-month-old daughter were traveling between Silver City and Jordan Valley when they got stranded. Rose tried to go for help but hasn’t been seen since. On Tuesday before the search was called off, his wife Francesca spoke with KTVB about what happened. She said, “Never in a million years” did she think a situation like this could happen to her or her family. Watson said they were headed out of town when things started to go badly. “Well, we were trying to go to California but the roads were pretty slippery and stuff so we decided to take a shortcut that he [Eric] was familiar with and ended up getting stuck in the snow,” Watson said. She said they spent three days in the truck, using snow as their water source. Watson said they even used snow as a means to feed the baby. She said they used a tin cracker/cookie container they found, put snow in it, and then held it up to the heater in the truck until it was warm enough to be used to mix formula for the baby. They worked to stay warm for those three days but the truck was running out of gas. “After the fourth day of him being really thirsty and him getting tired of drinking snow and what not, he decided to go for help, see if he could find help or get phone reception,” Watson said. She said she walked with him to a nearby cabin but it was empty. He decided to walk further on and see if he could find help or get to a higher elevation to get cell phone reception to call for help. Watson said she was worried and didn’t want him to leave. “I did not accept it, it was just something he had to do,” she said. So Rose headed out but never came back. Watson said she and the baby stayed in the truck that night and nearly froze. RELATED: What should you keep in your car during the winter? The next morning, Watson went to the cabin where she and the baby stayed for another three days. “It was getting a little tougher after that because I was doing all this by myself and was worried sick about him,” she said. After staying a few days in the cabin she decided to go back to the truck to see if help would come – and it did. A man on a snowmobile found the truck and was able to rescue Watson and the baby. Watson said when all was said and done, they’d been stranded in the cold for about a week. Rose’s sisters say while they wait for word of their brother, they have come up with a way of hopefully helping others in similar situations. “As we’re driving up and down those roads, there were so many abandoned buildings because of the mine and Megan’s like, ‘If there were just supplies in them, if there was just firewood or gas or food or MREs or water,’” Ontiveros said. She tells KTVB they want to find a way to build caches for remote locations to help those who might end up stranded without supplies, just like their brother and his family. She said so much of Idaho is uninhabited and doesn’t get cell phone reception so it makes getting lost very easy to do and very hard to get out of safely. Ontiveros said they thought of things like bear caches in Alaska, where supplies are hung from trees. They hope to do some type of cache for Idaho’s remote spots. “I think we’re going to start with Eric’s location and we’re going to figure out a way and a place to put it so that if someone’s in this situation again, then maybe we can save someone,” she said. “If there had been supplies, if my brother had been supplied, he never would have left the truck but he was worried about his wife and his baby surviving,” Ontiveros added. So she hopes coming up with some type of program to provide those supplies will keep others from having to do the same. Ontiveros said while it’s hard not knowing where Rose is, they are grateful to have Watson and the baby back. Ontiveros said more than anything, the family just wants closure. Tuesday night, the Owyhee County Sheriff’s Office issued a statement to the media saying because of bad weather and more expected storms, that it was calling off the search for Rose. The sheriff’s office said at this point, they do consider it a recovery mission and recovery efforts will continue when weather conditions allow. 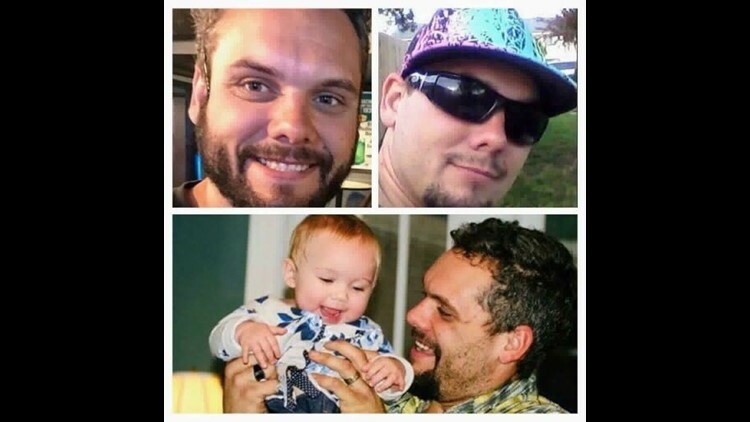 The sheriff’s office added that any family or friends who want to continue searching should call the call sheriff’s office at 208-495-1154, ext. 2 before heading out. It also reminds the public that for safety reasons, all access to Silver City is currently closed.